Research at Harvard University in the USA has shown that airline pilots perform worse when the air quality is bad in cockpits, with high CO2 levels adversely impacting their ability to perform advanced maneuvers. A series of tests conducted at the Harvard T.H. School of Public Health using a flight simulator revealed that when CO2 levels were low at 700 parts per million (ppm) pilots were 69% more likely to successfully complete a maneuver compared to when the CO2 level was high at 2,500 ppm. 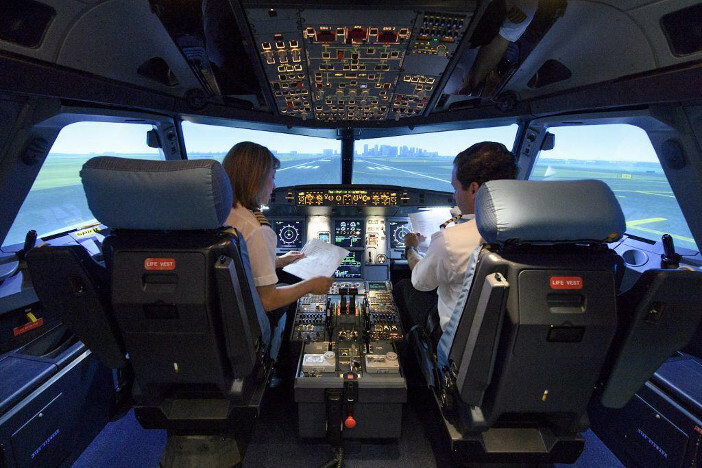 The researchers recruited 30 male commercial airline pilots and split them into teams of two. Each team was asked to perform three 3-hour-long flight simulations that consisted of 21 maneuvers of varying degrees of difficulty without the aid of autopilot. Both pilots on each team took a 90-minute turn as the flying pilot during each simulation. CO2 levels were randomized to either 700 ppm, 1,500 ppm, or 2,500 ppm, and each pilot flew one flight at each CO2 level over the course of the study. A Federal Aviation Administration (FAA) Designated Pilot Examiner monitored and assessed all simulations, and the pilots and the FAA examiner were unaware of the CO2 levels during the simulations. When researchers compared the difference statistically, they found that pilots were more likely to successfully perform some of the most difficult maneuvers at the lower CO2 level. The study also found that the negative effects of CO2 on flight performance became more pronounced the longer the pilots were in the simulator. While data on CO2 levels on flight decks is limited, previous research has shown that average CO2 levels on a flight deck are less than 800 ppm. However, they have been measured as high as 2,000 ppm on the flight deck and even higher in the cabin during the boarding process, depending on the type of. The FAA has regulations pertaining to airplanes’ environmental control systems, although the USA’s National Research Council has suggested that current standards for ventilation rates on flight decks may be inadequate. The study was published this week in the Journal of Exposure Science & Environmental Epidemiology.